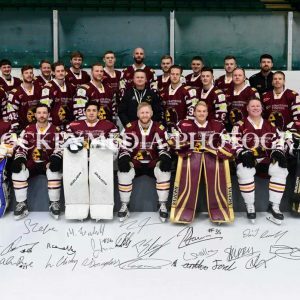 With the NIHL North season roughly a third of the way through we recently took the opportunity to speak to Warriors Player/Coach David ‘Lobby’ Longstaff about how he is finding life back in Whitley Bay leading the Warriors in their 2015/16 campaign. 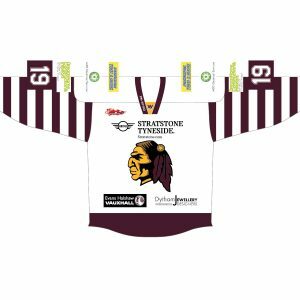 Warriors have made a superb start to the current season as Whitley currently sit joint top of the standings with a total of 20 points from the 12 league games they have played in to date. Lobby initially spoke about Warriors start to the season and how he viewed the NIHL North set up. 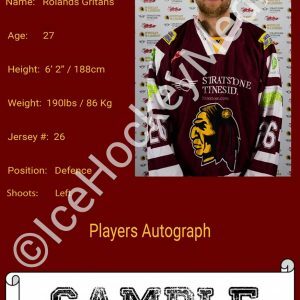 “The NIHL North set up hasn’t surprised me too much as last season when I was playing with the Guildford Flames in the English Premier League we took part in the crossover cup when we played a number of NIHL South sides so I knew roughly what to expect from NIHL hockey. David then went onto to speak about the make up of Warriors squad and how injuries have affected the roster in the early stages of the campaign. “I’m happy with the balance of the squad though in an ideal world we would more cover in defensive positions. We lost a lot of senior blue liners such as Paul Matthews, Rob Wilson and Dan Harris in the summer so we’ve had to revamp the squad a little and switch a number of more offensively minded players back into defence. In the games were we have struggled in it has generally been our defensive play that has cost us and Richie Lawson has kept us in a number of games with some really important saves. “Harry Harley has done well at the back and he is progressing nicely as an offensive d man. Dan Pye being out of action at times this season has been a blow as Dan has played at a higher level and has plenty of experience to call upon so him being out of the line up hasn’t been ideal. “Dean Holland and Alex Lawson have also both been out of action this term. Alex is likely to miss all of this season and part of next year so he’s a massive miss for us in defence. We are not sure on Dean at the minute as he’s awaiting the results of a scan so we’ll just have to hope for the best having him out of our line up has been a huge blow. Lobby then chatted about the Warriors younger players and also the more experienced campaigners he has recently brought onto his roster. “We have a lot of good young players at Hillheads and they are all listening working hard and doing what they need to do out on the ice. This league is a development league and it would it be great if some of the youngsters can earn a move to a higher league by playing well for us week in and week out. “Callum Queenan had the option of moving into a higher league last summer however I spoke to him and explained how playing with Warriors for some extra time would benefit him and hopefully he can move onto a major club when he leaves Whitley Bay as he is a very talented young player. 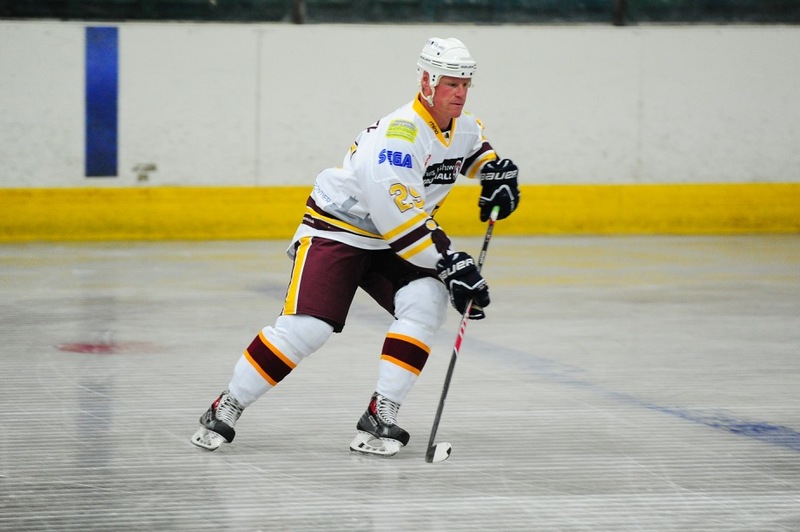 “Some of the older players in the Warriors set up could also certainly play their hockey at a higher level however with their work and family commitments that unfortunately just isn’t possible. “I’ve also recently added Alan Yarrow and Phil Pritchard to the Warriors roster as they are a couple of older heads and they can assist the youngsters development as on the whole we have a very youthful squad at present. The interview concluded with Lobby outlining his ambitions for the 2015/16 campaign. Warriors are in action twice this weekend as Whitley face Telford and Billingham in 2 extremely tough road games. Warriors next home game is on Sunday December 6th when the Blackburn Hawks visit Tyneside for a crucial NIHL North match up between the 2 top sides in the current league standings.